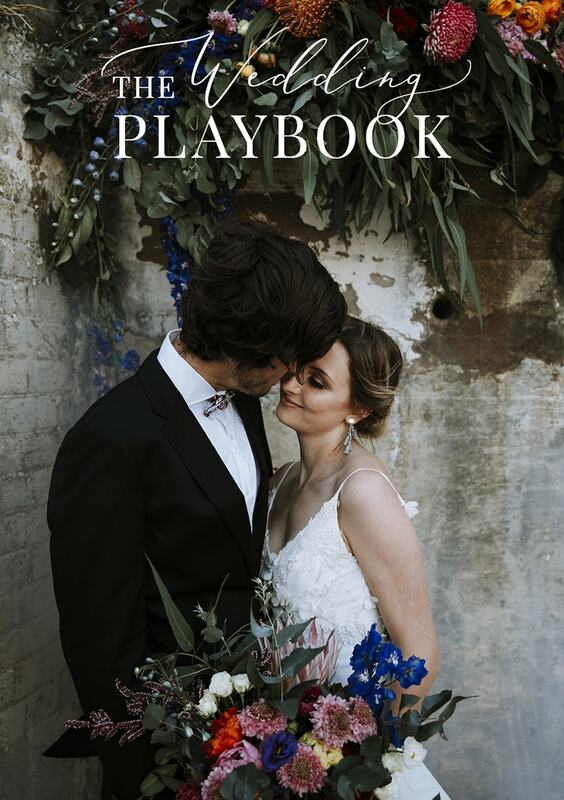 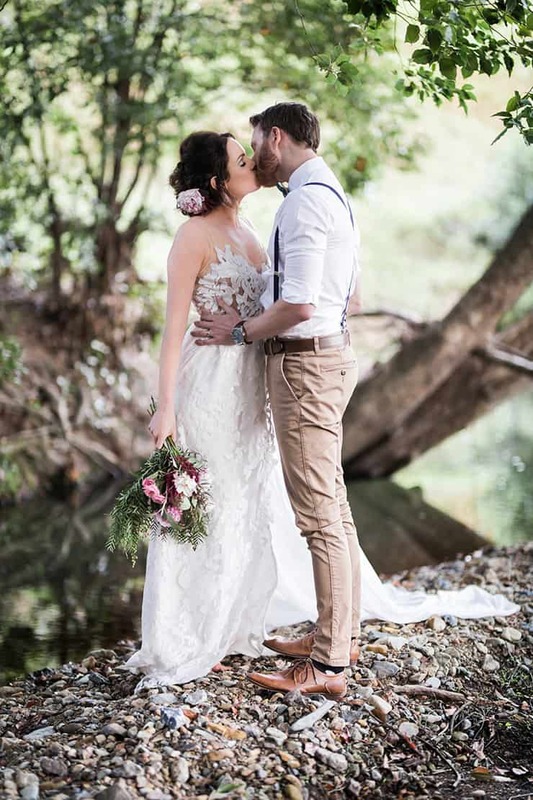 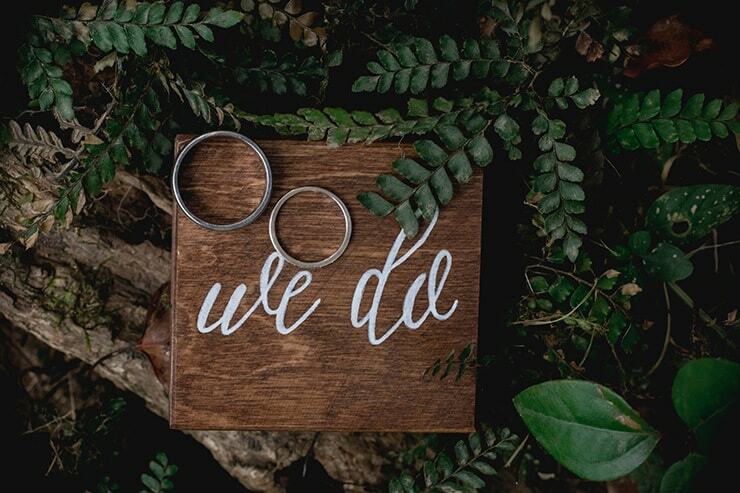 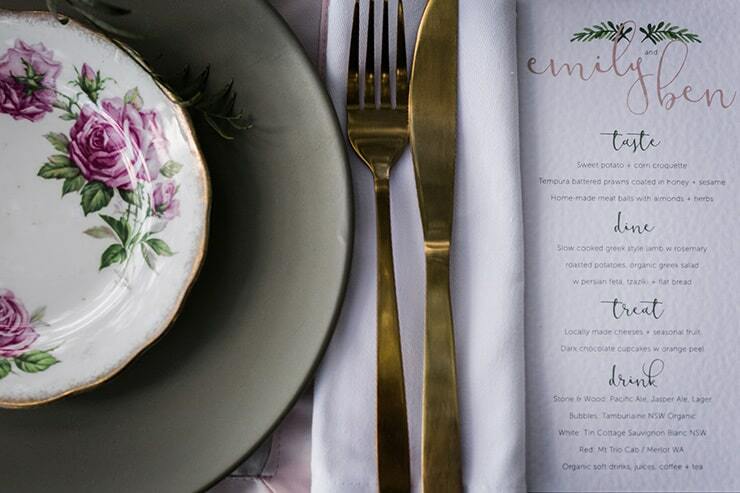 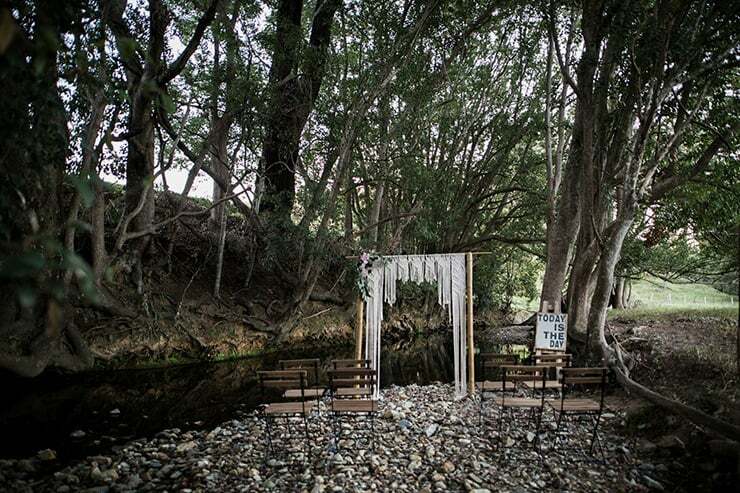 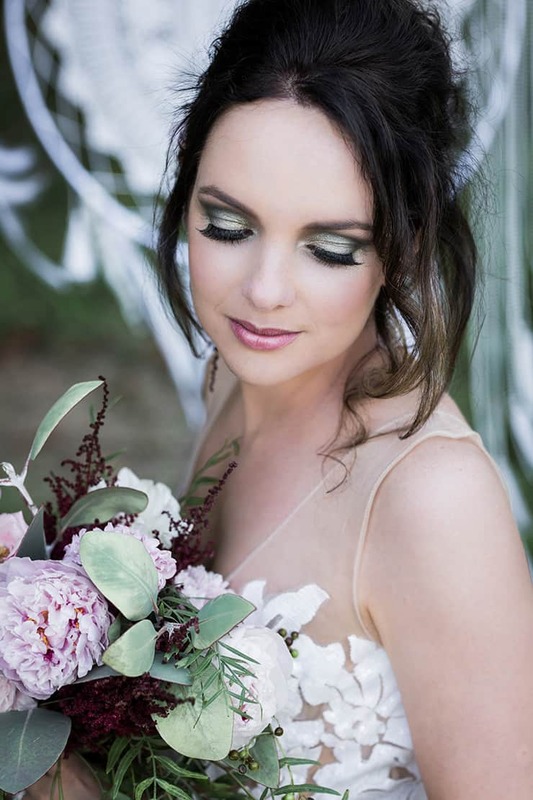 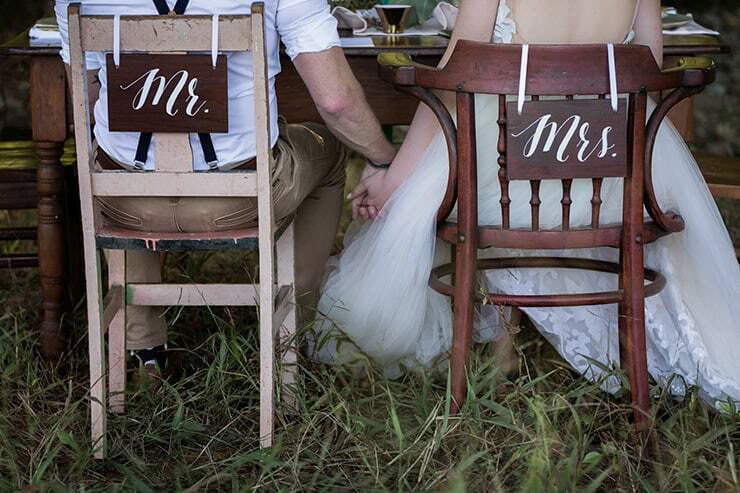 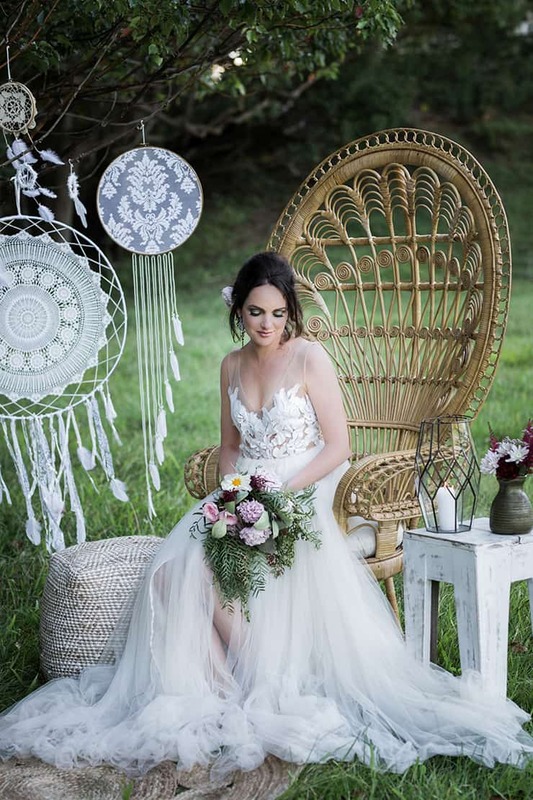 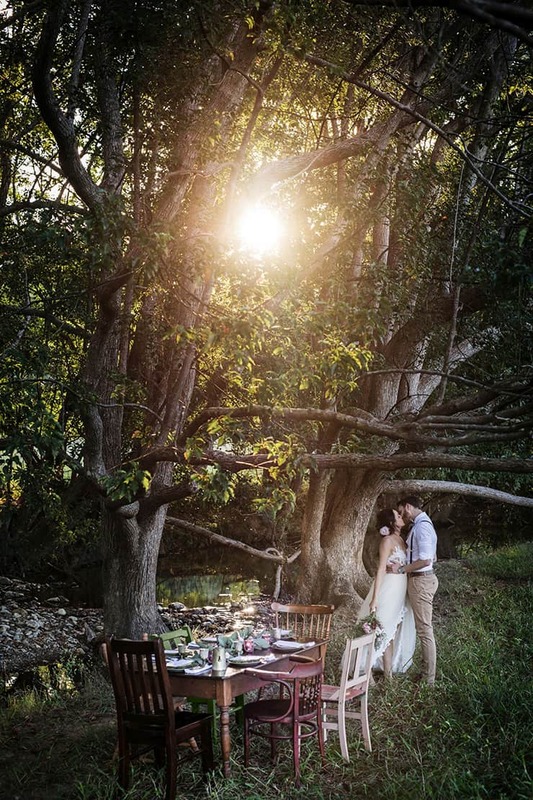 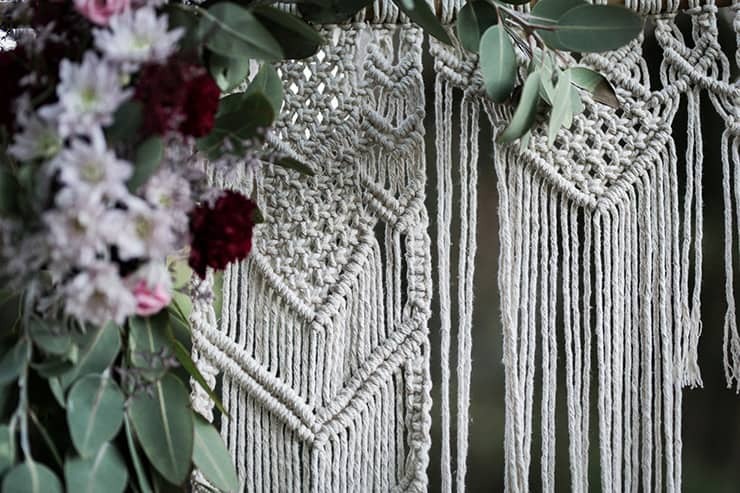 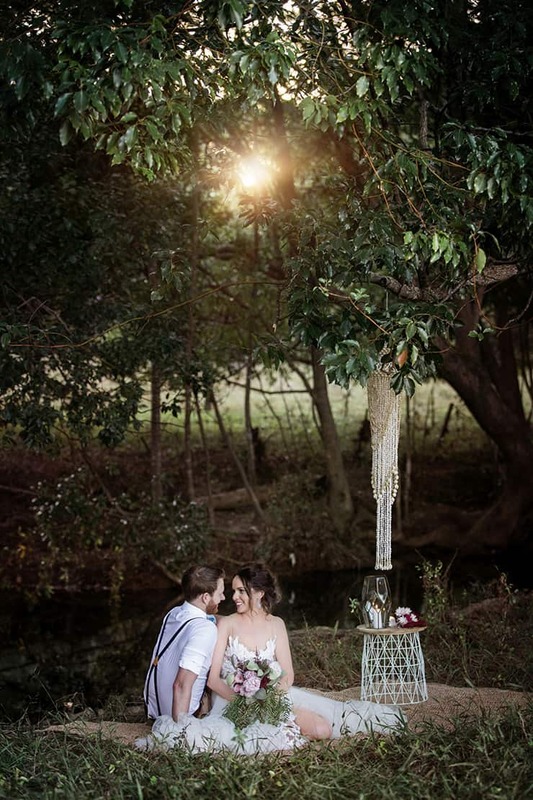 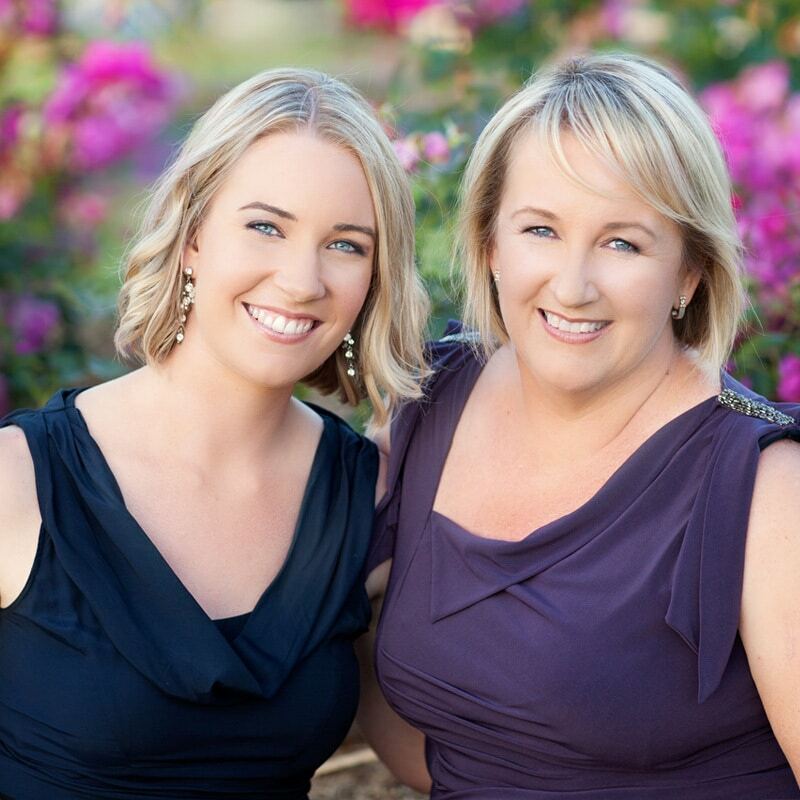 Embracing its lovely bushland setting, this rustic boho wedding inspiration is naturally sweet! 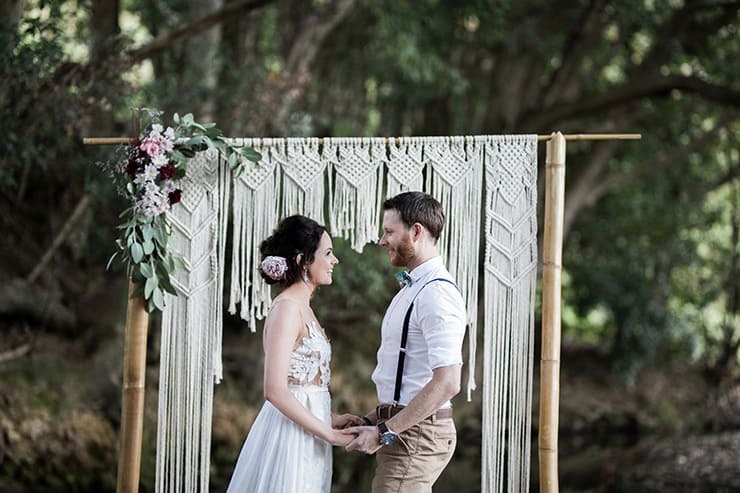 Combining soft blush and olive tones with woven textures and flowing fabrics, it’s a perfect example of styling that captures the simply beautiful. 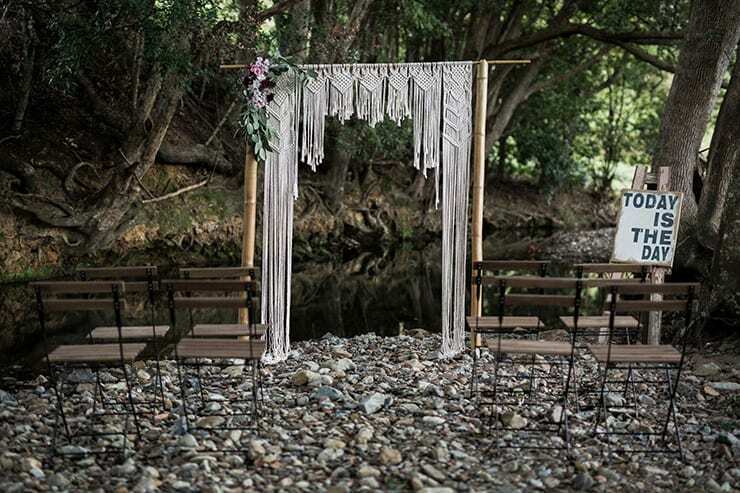 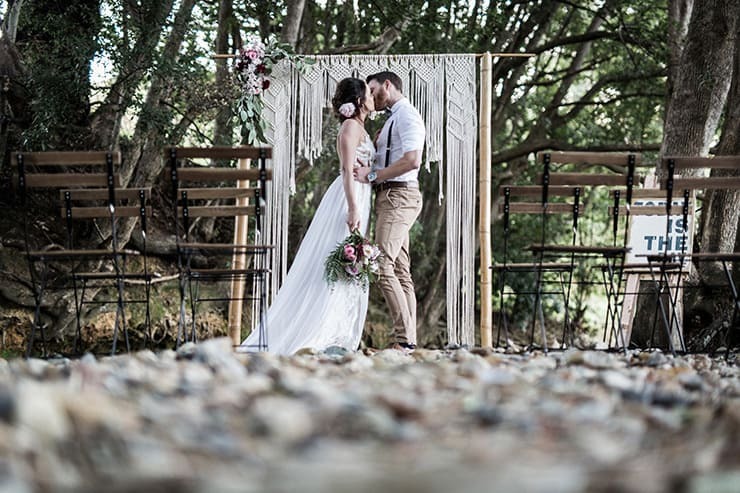 A serene creekside ceremony with a macrame adorned arbour and rustic ‘Today is the Day’ sign sets the mood. 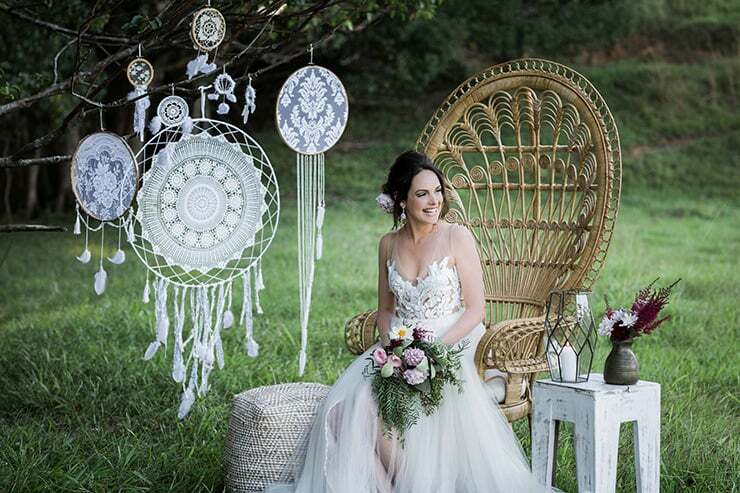 Eclectic dreamcatchers and a shell chandelier frame relaxed lounge spaces, ideal for a quiet moment during cocktail hour. 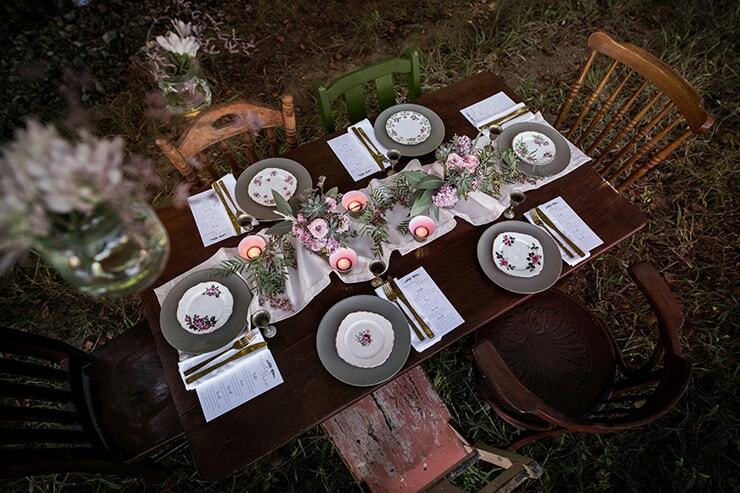 Paired with mismatched chairs, a dining table laid with vintage plateware, personalised menus and a floral runner dotted with tealights serves as a romantic reception setting. 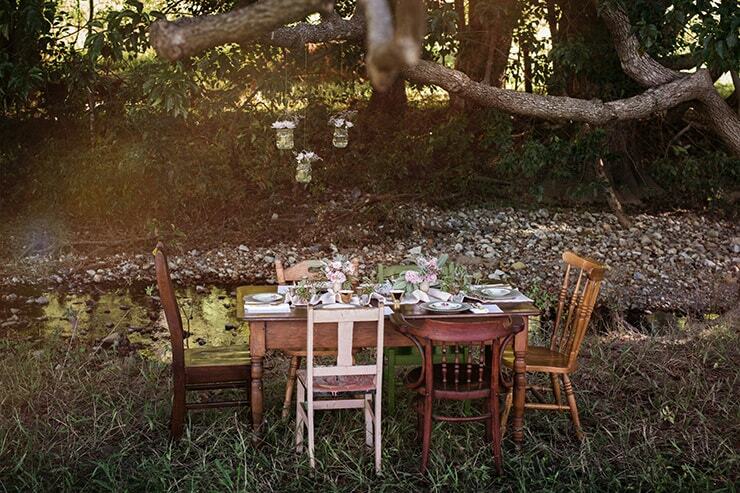 Pretty posies are strung in glass jars overhead from the outstretched branches above for a whimsical touch. 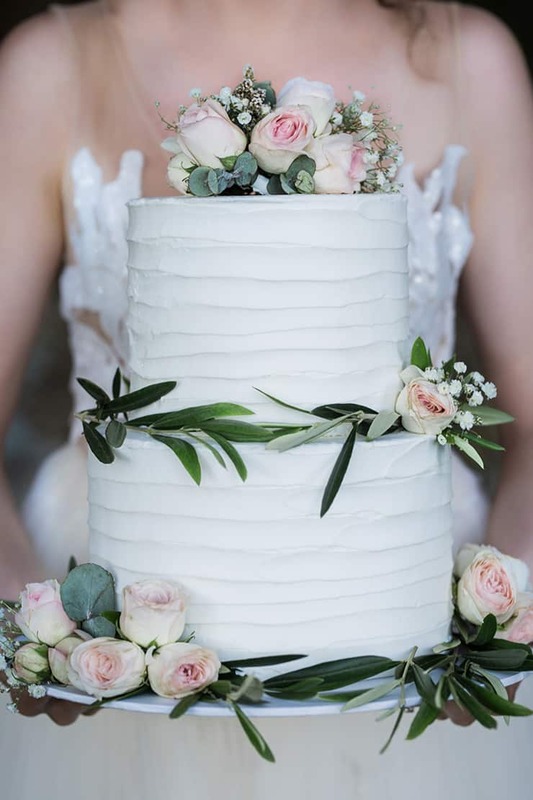 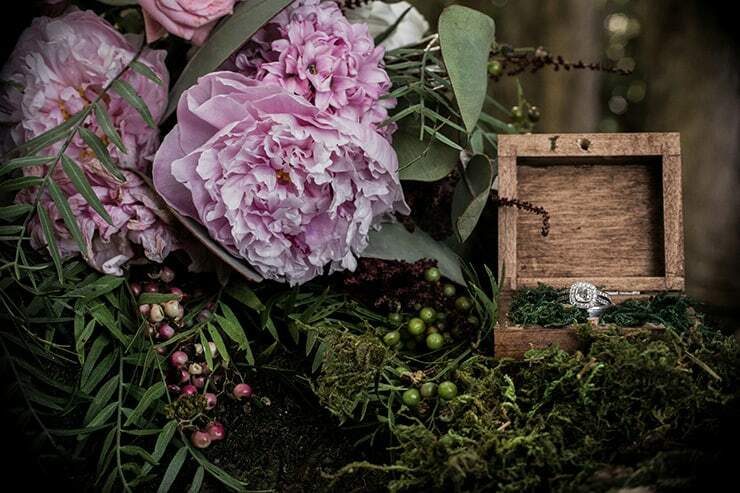 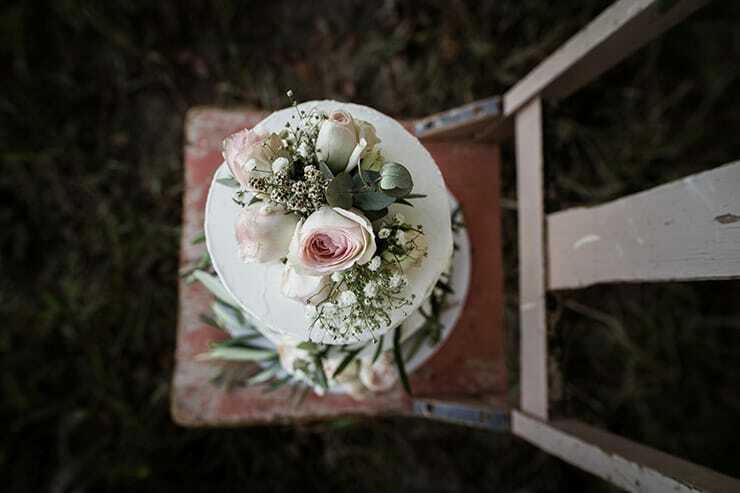 Olive leaves and roses encircle a white buttercream wedding cake, while peonies pop in the bride’s bouquet and hair, complimenting the floral detail of her beautiful gown.